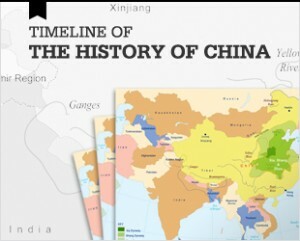 Jilin, along with Heilongjiang and Liaoning, was one of the three provinces that made up what was formerly called Manchuria and what is now referred to as China’s northeast (Dongbei). Jilin borders Russia to the east, North Korea to the southeast, Liaoning to the south, Heilongjiang to the north, and the Inner Mongolia Autonomous Region to the west. At 187,000 square kilometers, it is slightly larger than Syria. 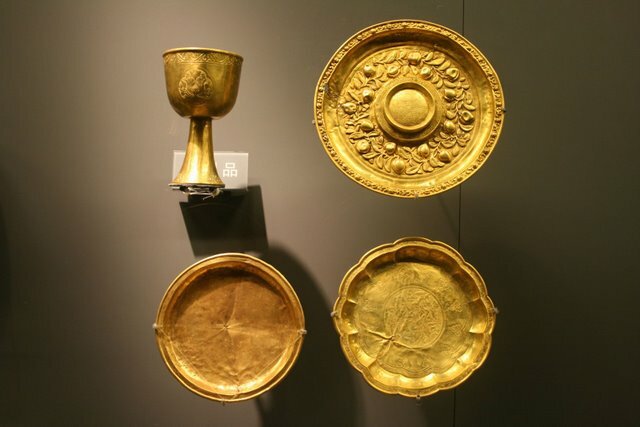 For much of its early history, Jilin has been inhabited by a range of northern tribes including the Xianbei, Koreans, the Mohe and the Wùjí who primarily engaged in hunting and herding. At different times various Korean kingdoms extended their reach into the province. The Korean Koguryo Kingdom, for instance, ruled large parts of Jilin from 37 BCE until 668 CE. 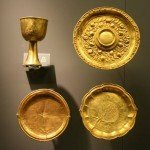 By the tenth century, the province fell under the domain of successive northern empires including the Tang Dynasty (618-907) the Khitan Liao Dynasty (907-1125), the Jurchen Jin Dynasty (1115–1234),and the Mongol Yuan Dynasty (1279 – 1368). By the 1500s, the Hurka tribe controlled the territory. Its representatives travelled to the Ming court to pay tribute with gifts of furs, ginseng, pearls and other treasures. The Hurka tribe was defeated by the Manchu leader Nurhachi who united Manchuria under his leadership by the early 1600s, and then began the first attack on China proper in 1618; his son went on to conquer China entirely, founding the Qing Dynasty (1644-1911). During the early centuries of the Qing Dynasty, it was imperial policy to restrict Han immigration into Jilin in order to keep the Manchu homeland for the Manchu people. 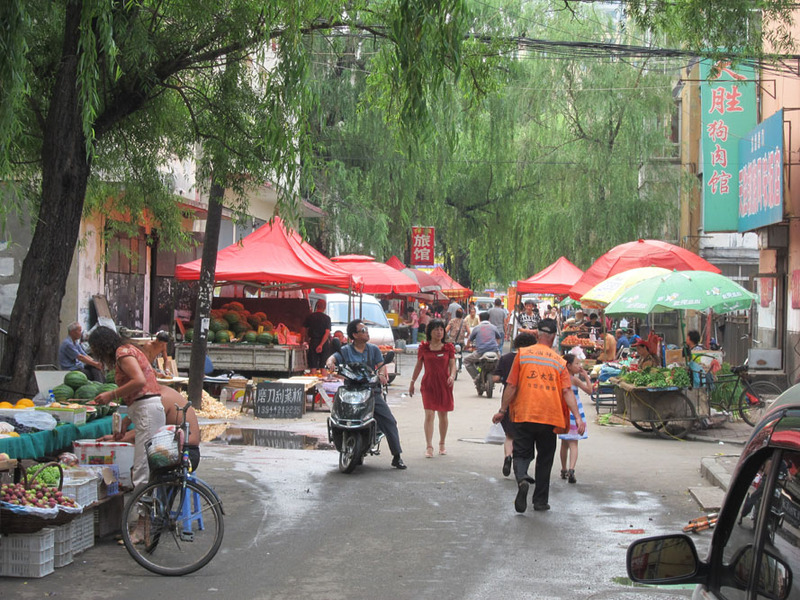 Despite this policy, Han farmers began moving north as early as the 18th century. 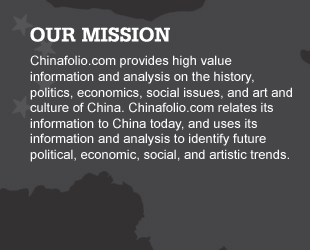 Growing Russian influence in the area caused Qing Dynasty to reassess its settlement policies by the early-1800s. When the Primorsky Krai area was lost to Russia in 1860, the Qing government lifted its immigration restrictions entirely, and large numbers of Han began streaming into the area. By the early 1900s, the Han were the largest ethnic group of the region. 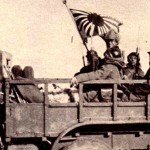 In 1931, Japan invaded Manchuria and Jilin became part of the renamed state of Manchukuo. In order to legitimize their Manchurian annexation, on March 9th 1932 the Japanese installed the last Qing Emperor, Puyi, on the throne of its puppet Manchurian regime, and made Jilin’s capital Changchun –which they called Hsinking – the new state’s capital. 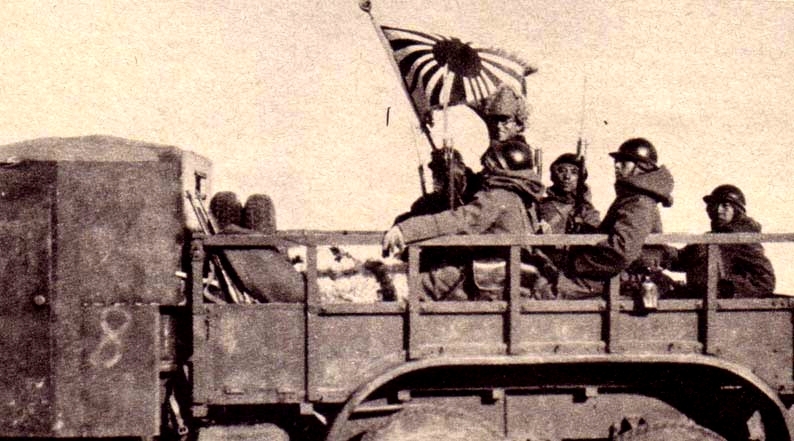 Jilin remained under Japanese control throughout the 1937-1949 Sino-Japanese War. When the People’s Republic of China was founded in 1949, Jilin’s borders were smaller than they are today. 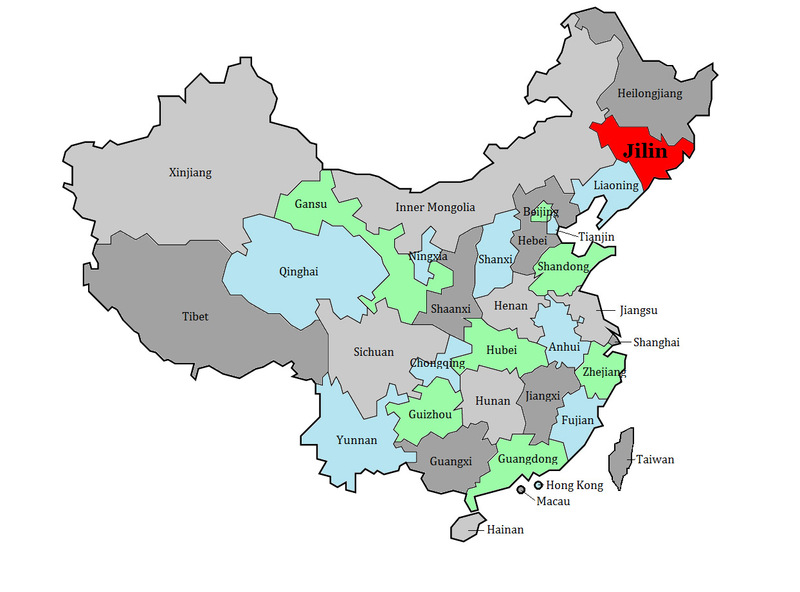 In 1954 small parts of Liaoning and Heilongjiang were added to the province to create its current borders, and its capital was moved from Jilin City to Changchun. 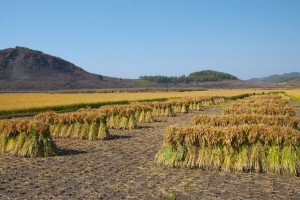 Jilin’s Sino-North Korean border has featured prominently in its most recent history as many North Koreans have tried to slip inside China in order to escape severe food scarcities that have plagued North Korea in recent decades. China does not generally welcome these refugees. 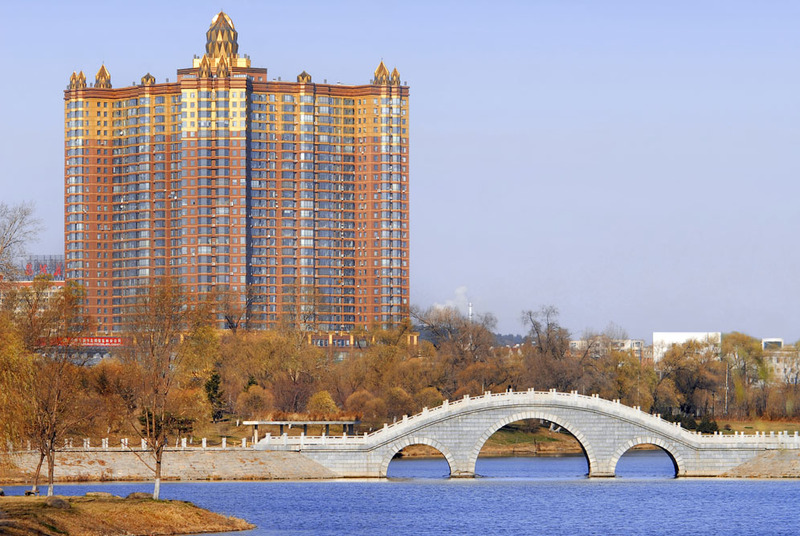 Jilin has a population of just under 28 million people. About 91% of these residents are Han. Koreans and Manchu people form the next largest ethnicities, each accounting for an additional 4% of the population. Some Hui, Xibe and Mongol people also make their home in the province. The majority of Jilin’s Koreans live in the Yanbian Korean Autonomous Prefecture which covers almost 25% of Jilin’s land lying contiguous to the North Korean Border. The Autonomous Prefecture was established in part as a reward for Koreans who fought along Chinese Communists during the Chinese Civil War. Within the Autonomous Prefecture signs are billingual, state-sponsored Korean language schools run, and Korean food is everywhere. About 38% of the Yanbian Korean Autonomous Prefecture residents are of Korean heritage today, down from 60% in the 1950s. Jilin is one of China’s largest wood producers as forest covers about 42% of the province. In addition to its timber and milling industries, Jilin also has a large pulp and paper industry. The forests also provided a good source of furs and of wild Chinese herbal medicines. Jilin’s reserves of coal, petroleum and shale oil, iron ore, gold, diatomite, wollastonite, veneer gabbro, carbon dioxide gas, molybdenum and germanium are some of the largest in the country. It also has important deposits of diatomite, bentonite, refractory clay, kieselguhr, wollastonite, floatstone, germanium, talc, graphite, gypsum, cement rock, silver and nickel, as well as a good supply of natural gas. Several hydro-electrical installations also generate power in the province in addition to those powered by fossil fuels. Interestingly, Jilin’s first dam was built by the Japanese during its 1931-1949 occupation, and then later rebuilt in the 1950s with the help of Soviet specialists. Jilin has an important industrial complex that manufactures automobiles, textiles, chemicals, machine tools, train carriages, and iron alloy. Its pharmaceutical production has profited from its good supplies of ginseng, deer antlers and abundant cultivated and wild medicinal Chinese herbs. More recently, Jilin has seen expansion in its manufacture of refined chemicals, electronics and bioengineering products. As the land of the province moves northwest, its elevation decreases and the terrain becomes hillier. To the far west and north is large plain where agricultural and herding are most prevalent. The soils along the Songhua and its tributaries – which run through parts of this plain – are especially fertile. The Changbai range is the source of the Songhua, Talu and Tumen Rivers. The Yalu flows southwest to Korea Bay while the Tumen River runs northeastward to the Sea of Japan. Both rivers travel along the Sino-Korea border. By contrast, the Songhua River runs through the center of the province. Its upper course races northwest down rapids through forest before entering 62 km long Songhua Lake, formed as a reservoir to the Fengman Dam located approximately 20 km from Jilin City. Below the dam, the Songhua flows northwest until it is joined by the Nen River, its largest tributary. It then goes east where it runs along the Jilin-Heilongjiang border before enter Heilongjiang for good. Jilin’s extreme south is drained by tributaries of the Liao River. Jilin’s winters are cold and long; its rivers freeze for upwards of five months a year. Summers are warm and rainy with almost 80% of its precipitation falling between May and September. 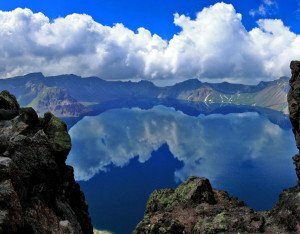 Located in the province’s southeast, Changbai Mountains Nature Reserve, with its Heaven Lake, provides a beautiful escape into often spectacular natural scenery. Its 2 million year old Heaven Lake rests at an altitude of over 2100 meters, has a circumference of 13 kilometers, and is surrounded by 16 rocky peaks, the White Rock Peak being open for climbing. Close by is the Changbai Waterfall, the Green Deep Pool – so named for its green color and Dell forest with hiking trails. North of Changbai Mountains Nature Reserve, 53 km south of Jilin City, is the Beidahu Ski Resort offering beginner to advanced trails. It is currently expanding its terrain. 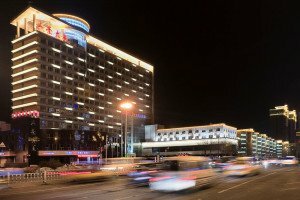 Yanji, on the North Korean Border, is the capital of the Yanbian Korean Autonomous Prefecture where local Korean culture can be experienced. Ji’an, at the very southeast of the province, was once an important part of the Koguryo Kingdom. Its ancient ruins, cairns and burial pyramids caused it to be declared a World Heritage Site in 2004. The most important of these ruins are the 4th century Jiangjunfen General’s Tomb; the 5th Haotaiwang Stele – a 6th century 6 meter high stone slab documenting the exploits of the King Tan De; Cemetery of Nobleman at Yushan – underground chamber with ritualized paintings on walls. Ji’an city itself offers attractive tree-lined streets and a lively riverfront area across which can be seen North Korea.